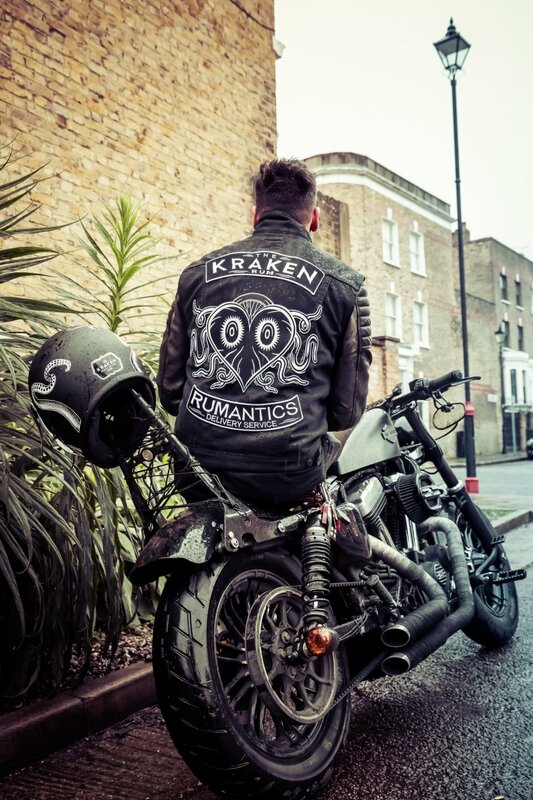 Cow motored its way into the black hearts of Kraken lovers for Valentine’s Day this year with the launch of The Kraken Rumantics delivery service which took place across London and Manchester on February 14th. 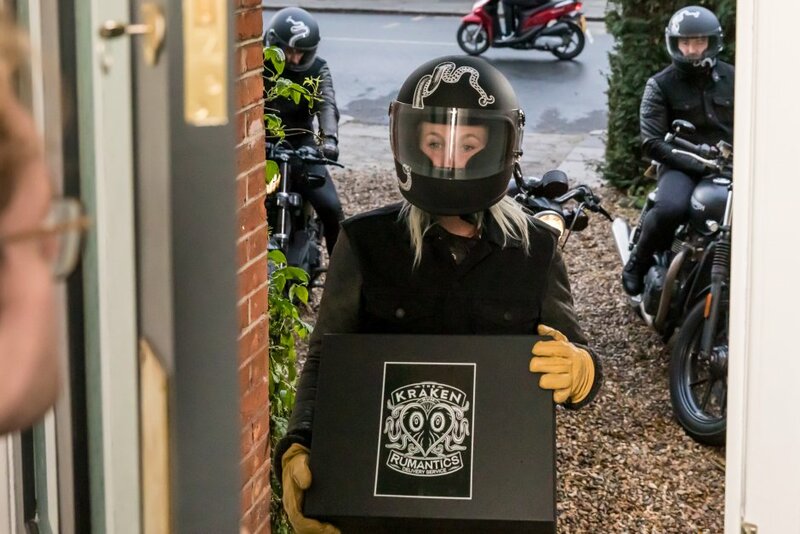 The Kraken’s most loyal fans were given a chance to win a visit from our gang of motorcycle riders who delivered packages with everything they’d need to have a ‘rumantic’ Valentine’s Day celebration across the two cities throughout the day. The devilishly desirable packs contained all the ingredients to make a Kraken Rum cocktail specially designed for the occasion by @TheAmateurMixologist, a black rose, and even a real black diamond to bring a little sparkle to even the coldest of hearts. The Kraken Black Spiced Rum launches the darkest delivery service for Valentine’s Day, with bikers delivering one-of a kind gift boxes containing rare black diamonds and rose in every limited-edition Rumantics gift box, as well as all ingredients to create a deliciously dark Kraken cocktail to warm even the coldest of hearts.Those dying to gift their loved ones with one of the Rumantics gift boxes can apply via The League of Darkness (www.theleagueofdarkness.co.uk) between Monday 4th February to Thursday 14th February. Our team of bikers rumbled their way around the cities, led by @TheGirlOnABike, decked out in specially-made jackets and betentacled helmets spreading a typically Kraken spin on Valentine’s spirit, direct from the world’s most generous mythical beast. Fans were asked to sign-up to The League of Darkness to be in with the chance of receiving a visit from the Romantic Riders. A beautifully co-ordinated PR and social media effort led to more than 15,000 click throughs to the dedicated landing page, with social media reach of over 1.2 million and coverage in the likes of Daily Mirror, Don’t Panic, Bored Panda, PR Week and The Spirits Business. What’s more The Kraken Rum’s UK Instagram channel garnered more than 3000 new followers representing growth of over 20%.